The term “marigold” refers to a group of flowering plants in the aster family, one of which is the beautiful herb calendula. Also called pot marigold, calendula is native to southern Europe and naturalized elsewhere, including North America. This annual herb features light, green foliage and clusters of single or double yellow flowers, (can also be orange or cream-colored). 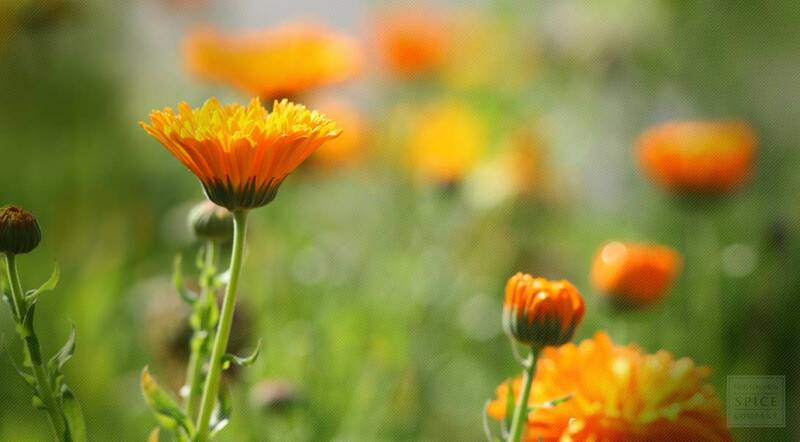 Calendula flowers are edible fresh or dried and lend a lovely color and light, fresh flavor to soups, teas and other beverages. Used to make a variety of cosmetics, such as soaps, shampoos and hair conditioners, lotions, creams and salves. To shop all of our Marigold / Calendula or for more information about organic Marigold / Calendula, please visit our full Marigold / Calendula page.